Alright, everyone should be familiar with these types of threads by now. So here’s what I’ve tried from this fun book so far. Served on a homemade salt and sesame bagel. It really was exceptional with a perfect texture and amazing taste. It was not at all too salty or too sweet and the fennel was a perfect addition to the salmon. I’ve always heard cured salmon is easy to make but this was really easy and I will be making it again. 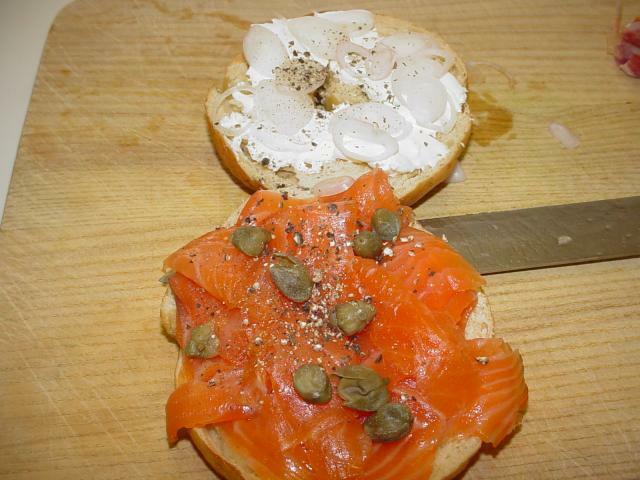 The bagel was smeared with cream cheese and also topped with shallots and capers. 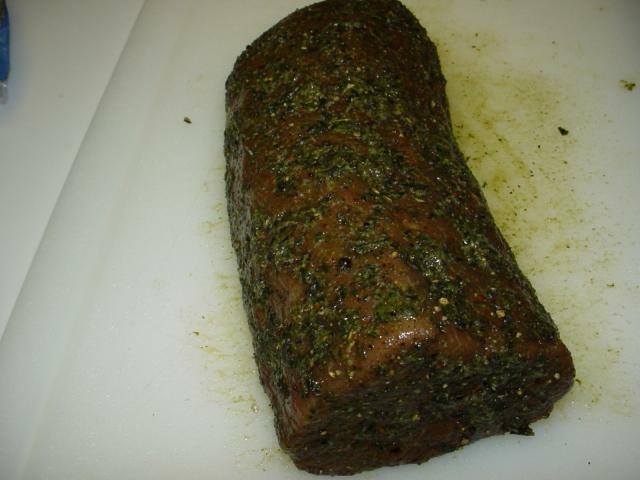 Currently I also have a 3 pound beef eye of round curing (1st cure) to make Bresaola. I forgot to take a picture of this one but I will when I add the rest of the cure a couple of days from now and will report on the final product. For Xmas, I am planning on making a couple of different sausages and probably the duck roulade. So, come on. Share your Charcuterie. How long does that recipe take? I got my father the book for Christmas, but it's all wrapped nicely. I'd think of making that to give to my mother if the recipe doesn't take very long. Cheers! And that is some LOVELY looking salmon. The recipe does not take long at all (well, relatively speaking). For a full recipe, you need 48hrs. For half a recipe, like I did, 24hrs. It should supposedly last in the fridge for a good 3 weeks, so you can make it ahead of time too. I am pretty sure mine will be gone way before then . Elie, look forward to more reports on this book. I'm thinking it should go on my Christmas wish list. those are great shots. glad you liked the salmon. in another post somewhere someone asked if brian could comment. I'm sure i could encourage him if people had questions for him. That was me. I'd love to get Brian on, if only to congratulate him on the book and the restaurant. Based on the website, he's doing, to quote Bourdain, "God's Work"
I haven't cooked anything out of the the book yet. The holidays are a busy time of year in the food business, but as soon as I have some free time, I'm building a cold smoking/curing chamber in my garage. I just finished a large amount of the pork confit that Michael so highly recommends in the book. I'll try to get some pictures today when I pull it and get it into jars. On an extremely bright note, I've found my fiance reading the book several times and just found out that she has ordered the Bradley smoker, also recommended in the book, for Christmas! Michael, my personal thanks to you and Brian. This book is without a doubt my favorite of over 90 cookbooks in my library! Bourdain only got it half right when he said you guys were doing Gods work....you guys ARE Gods! That is the Bresaola so far. It already cured for 7 days and was just rubbed with the second half of the cure and is back in the fridge in a ziploc bag to cure for another 7 days before drying. The only thing I am a little worried about is that there was not that much liquid to drain out of the bag. Maybe a few tablespoons in all. The meat did feel firmer and had a cured feel to it though. So, next week I will take it out rinse and dry it and hang it to dry/age. I will make sure to weigh it before I hang it though to guage the water loss. As for a proper drying area, that is tricky in Houston . What I am going to try and do is use a box to hang the meat in the coolest area of the house and place a large salted water pot (like Rhulman/Plocyn recommend) to add humidity. I guess constant monitoring is key at that point. Normally in an enclosed container to dry, the meat on its own will exude enough moisture, at least at the start to keep the chamber humid (about 65-75% required). In fact, the problem may be that it is TOO humid. You want to keep it around 55 deg. F.
I recommend not "pulling" the confited pork. Yes you can shred it and serve it like a potted meat, but please try cutting a small block of it and sauteing it or roasting it as you would a leg of duck confit. Drohman deep fries his gives it a crisp exteriorand a melting exterior. and thanks for your comments, over the top, of course, but we'll take em. beef doesn't drop a lot of liquid like pork or salmon. and i'd be surprised if you had a problem with too much humidity; you need good humidity so the exterior doesn't dry out. Drat!!! Another book to buy!!! Gee . . . Thanks a lot, guys. This is exceedingly strange. I woke up this morning with a strange yearning to make terrines. I don't make terrines. I don't even have a terrine to make one in. And I know zip about it. I have made Speckle Belly goose liver pate once in my life several years ago. Now you know why this is exceedingly strange. And, what do I see at the top of the Cooking forum? Following in my father's footsteps, I do try various meaty tricks from time to time. 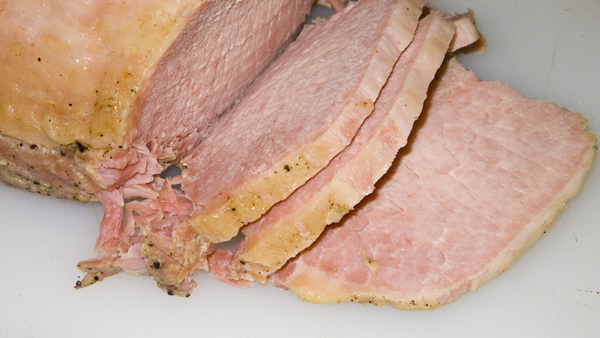 I am actually going to try the Corned Ham for Christmas. Am I the only bad person that reads cookbooks before they get wrapped and gifted away? You have to develop a technique for peeking in without breaking the spine or ruffling the pages. After all. You would certainly want to be sure that the book is a worthy gift, wouldn't you. Thanks Michael. I hadn't really planned on "pulling" it (poor choice of words) as much as placing in the jars in chunks. I'd planned on getting this book and now this thread has pushed me over the edge so I went ahead and ordered it today. Seeing the part about them recommending a Bradley smoker was the last trigger since I just got mine a few weeks ago. Darn, now I have to be patient and wait for the book to arrive! The pics on this thread look absolutely delicious! Well, my picture posting talents are lacking. But I can say that Michael is SO right about the flavor of this pork confit. I just tasted a few bits as I removed from the cooking fat and placed into jars for storage, BUT WHAT AN AWESOME flavor and texture! I was able to secure enough pork belly fat to render for the cooking liquid. I don't know how much difference that made from say, shoulder fat. I prepared a pork loin confit (sort of) from the recipe in Charcuterie. I say "sort of" because my work schedule didn't allow me to follow the recipe timing as published. Since I was going to be traveling during the week, I covered the loin in the dry marinade, vacuum sealed it, and stashed it in the coldest part of the fridge. Last night I unpacked the pork, rinsed it really well, repacked it with duck fat, and cooked it sous vide.. (Another departure from the recipe ). I was worried that the confit would come out too salty, but it turned out great. Photo album in ImageGullet if you're interested. It looks dry in the photo, but is actually very moist and succulent. 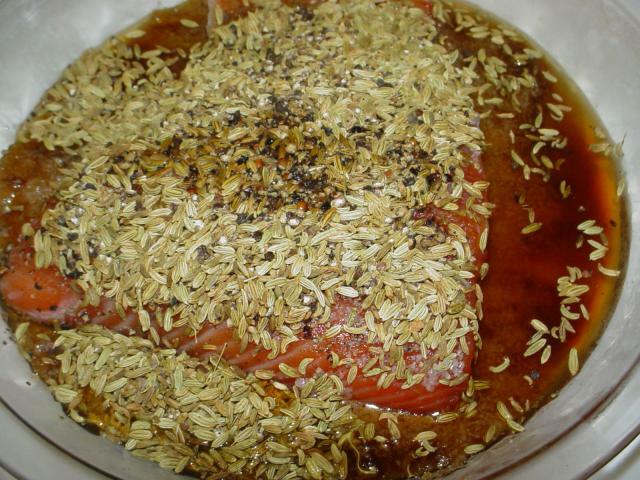 The texture and flavor are reminiscent of corned beef, only much richer and more aromatic. I can't say how much this differs from the book recipe, but I'm pleased with the result. I separated the fat from the juices and repackaged the pork yet again for further aging. It's great as-is, but more time in the fat may mellow it further - we'll see. Been waiting for my copy of Charcuterie to arrive, and it is finally here, very informative book, just what I needed. 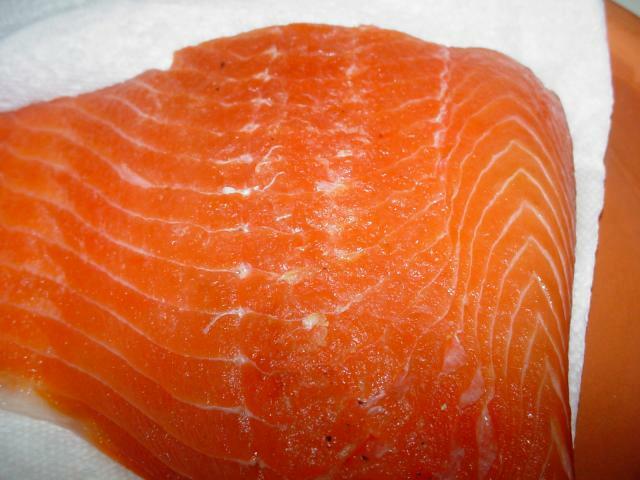 Right now I've got a piece of Atlantic Salmon curing in the fridge, can't wait. Just one quuestion though, would what you guys refer to as kosher salt the same as what we (Australian) refer to as rock salt, or are they totally different ? anyone? 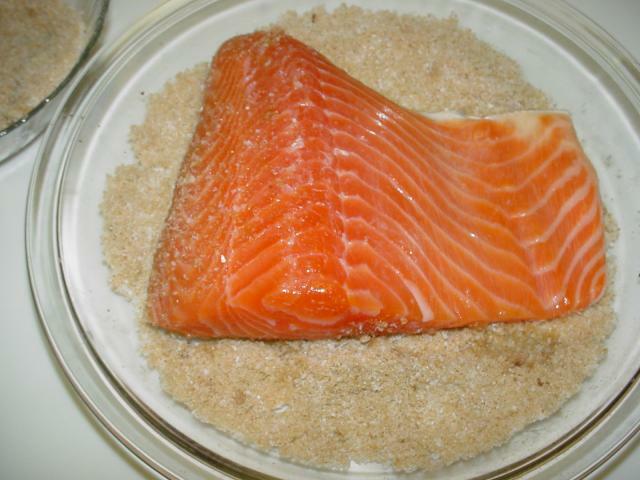 Thanks Jason, I just use rock salt to cure my salmon, I have never seen kosher salt for sale in Melbourne, all the salt flakes here are very expensive (think Maldon sea salt) anyone can offer alternative salt type, or crushing rock salt to smaller granule, would that do the trick ? I'd check with these guys. If they don't sell it, I'm sure they could tell you who might. I've just made some sausages. They are the emulsified type. One is Mortadella style and one a Wurst style kosher salami. The meat seems to be in fine particles, rather than a smooth whole. This is despite grinding for hours (well, 5 mins in a powerful food processer), the paste not getting warm, and feeling smooth when raw. that's a perfect description of a broken forcemeat. possible problems are dull blade or the meat and fat got too warm. try bringing ground meat and fat to near freezing before mixing. or try the paddle method for emulsifying, which is better than food processor because of power and blades. sorry for the broken sausage, that's really frustrating! You cannot get kosher salt in Australia (at least, I've never seen it). Flaked sea salt would be way to expensive to use in that manner, just get normal, non-iodised table salt. and please try to weigh your salt rather than measure by volume. That is really interesting. I wonder why. When we need pure salt here in the US, we can buy pickling salt. 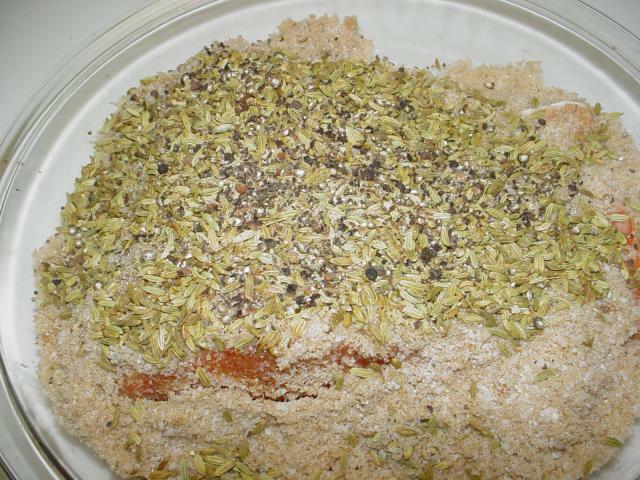 It is pure salt without any iodizing, anti-caking agents or anything else. It has about the same weight to volume ratio as what we call table salt. I prefer to have salt and such at least include the weight in the recipe. I don't have the book . . . yet. Does it include weight?